Fall protection citations are given for the failure to have sufficient guardrails, safety nets, or other fall protection systems for working ledges that are less than 6 feet wide. In 2015, there were 6,721 fall protection violations written up by OSHA. Hazard communication citations are given for the failure to provide a classification of dangerous chemicals in the workplace. 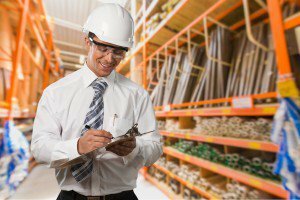 Having the wrong classification can lead to misidentification and workplace accidents. In 2015, there were 5,192 hazard communication violations written up by OSHA. Scaffolding citations are given for improper scaffolding protocol that is carried out when workers are suspended in air, during work, or providing improper scaffolding equipment. In 2015, there were 4,295 scaffolding violations written out by OSHA. Respiratory protection citations are given for failing to provide adequate respiratory safety gear in workplaces that may be detrimental to a worker’s respiratory system, otherwise. In 2015, there were 3,305 respiratory protection violations written up by OSHA. Lockout citations are given for failing to properly service and maintain machinery that could lock up and potentially harm an employee. In 2015, there were 3,002 lockout violations written up by OSHA. Powered industrial truck citations are given when industrial truck designs don’t meet the standard construction requirements put forward by OSHA. In 2015, there were 2,760 powered industrial truck violations written up by OSHA. Ladder citations are given when workers are expected to work on ladders that don’t sustain at least 3.3 times the maximum intended load. In 2015, there were 2,489 ladder violations written up by OSHA. Electrical wiring citations are given when conduits are not properly covered or wired, thus putting workers at risk of electrocution. In 2015, there were 2,404 electrical wiring violations written up by OSHA. Machine guarding citations are given when heavy machinery is not properly outfitted with guards to protect workers from mechanical hazards. In 2015, there was 2,295 machine guarding violations written up by OSHA. For more information, check out OSHA’s official website.